Navigating the loan marketplace can be a frustrating experience. You might require financing right away, but, due to your bad credit rating, this could be difficult for you to accomplish. Nevertheless, is there a solution to this commonly-met problem? Is there a loan option that would be more advantageous for you? Before we concentrate on the questions you should tackle before considering installment loans, you should understand how they work. It makes sense, doesn’t it? Expressly, an installment loan entails borrowing a given sum of money, and paying it back in installments, over a designated timeframe. If you manage to make timely repayments, this will showcase you as a reliable borrower. To that end, we could say that installment loans can contribute to enhancing your credit. In general, the credit rating constitutes no less than 35 percent of the FICO score. This is why you should focus your attention on boosting your credit. Being a responsible borrower can contribute to this. What Is the Repayment Period for Installment Loans? As a rule of thumb, the repayment period for installment loans is long. More specifically, the loan might extend up to five years, or somewhere around that. Nonetheless, carry in mind that, the longer the lifespan of the loan, the more you’ll end up paying in interest and other costs. So, factor in this aspect before filing your application. Do Installment Loans Include Prepayment Fees? Considering that you have the financial means of making the repayments sooner than expected, will this entail additional penalties or fees? This is an important consideration that shouldn’t miss your focus. Depending on the lender, you might be charged with prepayment penalties if you intend to pay the loan earlier. That’s because this will diminish the amount of money you should have paid in the form of interest, which is in the disadvantage of the lender. As a rule of thumb, though, prepayment fees are included if the size of the loan is considerable. To that end, prepayment penalties are, at the time being, much less common than they used to be in the past, which is, of course, a good thing. In some cases, installment loans might be secured. But this isn’t the norm. However, you might still opt for a secured installment loan, if you have the possibility to do so, as secured loans usually come with lower, more convenient interest rates and terms. That’s because the inclusion of security diminishes the risk for the lender; therefore, making the terms more convenient for you. In comparison with other short-term loans on the marketplace, installment loans are more convenient, as they aren’t as risky. Nevertheless, loans are hardly created equal – which is why we encourage you to consult different sources before making a decision in this respect. At the same time, it’s always sensible to factor in more alternatives, before making a financial decision that will imminently impact your future. For many professional athletes, their life off the field is just as important as on the field. Bad behavior off the field can lead to suspensions, fines, and even losing one’s job. Just look at what happened to NFL player Reuben Foster earlier this week. Tyrann Mathieu is a player who was overshadowed by some off the field instances. Nonetheless, he has rebounded and been able to build himself quite the career in the NFL. Tyrann Mathieu’s net worth currently sits at $10 million. Mathieu was drafted in the third round of the 2013 NFL draft by the Arizona Cardinals. Although many believed he had first round talent, character questions caused his stock to fall. The first NFL contract Tyrann signed was for four years valued just above $3 million. Along with this, came a signing bonus of around a quarter of a million dollars. However, after his first three seasons as a professional, the Cardinals quickly realized their top talent was underpaid. After the 2015 season, where Mathieu recorded a career high five interceptions, the Cardinals were looking to sign their star defensive back to a long term deal. Before the start of the 2016 season, Mathieu and Arizona agreed to a five year deal valued at $62.5 million. With his new contract in hand, Tyrann Mathieu’s net worth would quickly increase thanks to a signing bonus worth over $15 million. Despite signing the large contract with Arizona, the ending was sooner than expected. After paying most of his guaranteed money during the first two seasons, Mathieu and the Cardinals parted ways and now he finds himself on the Houston Texans squad. The 2018 season with Houston has proved a lucrative one for Tyrann. He signed a one year contract worth $7 million. Along with that, came a handsome signing bonus of $4.5 million. This season with the Texans has allowed Tyrann Mathieu’s net worth to creep into the eight figure mark. To date, Mathieu’s on the field career earnings total just over $30 million. His net worth would be a bit higher if it wasn’t for his intriguing collection of high-end vehicles. Regardless, with a net worth of $10 million, Tyrann Mathieu is in a good financial position at the moment. If Tyrann can continue to play at a high level for the remainder of the season, then he could see a nice contract come his way during the offseason as he will be up for free agency. There are many factors that are at play when it comes to the successful completion of a loan. A client needs to know what type of loan they are taking out and feel secure in the knowledge that they will be able to pay it back. They need to be able to want that loan in the first place as a source of capital for a project or investment worthy of taking out a loan. They need to be sure that the loan in question is the best possible financial option for their needs. And, of course, they need to be able to actually get the loan in time for it to be of use to them. That last criteria may seem obvious, and yet, it is an altogether too common refrain among those taking out loans that the process can take too long. While it is important that any lending process be carefully scrutinized by the lending party, it also needs to be undertaken with an eye towards completing it in a timely fashion, so as to allow the borrowing party to get the funds when they need them. It is thus a source of concern for some that the average time to complete regulated bridge loans rose over the course of 2018 from 43 days to 46 days. There reasons for taking out regulated bridge loans, meanwhile, have remained constant. Refurbishing one’s home has long been the top reason that this type of loan is pursued, and that remains the case today. Mortgage delays likewise remain the second-most popular reason for pursuing a bridging loan, with that accounting for 19% of loans. Even so, that figure is down by as much as 20% in Q2 of 2018. As noted above, this may be due in part to concerns over Brexit. It looms large over much of the finance industry. With radical changes possibly in the offing to the status of the UK’s economic relationship with the EU, its access to the Common Market, and its overall standing in the world, consumers are naturally wary of making large financial decisions in such an uncertain market. Even so, regulated bridging loans remain an attractive option for borrowers. This is due in no small part to the fact that interest rates for this type of loan have dipped of late, sitting around 0.78% to 0.8% at present. What’s more, the short-term nature of this loan remains attractive to many borrowers. Ultimately, while there is certainly a slowdown occurring at present, regulated bridge loans figure to have a bright future once the dust from Brexit has finally settled. Online shopping has gained popularity over the past few years. It does have a lot of benefits like convenience, easily accessible wherever you are located as long as you have an internet connection and you can do it from the comfort of your own home, in your pajamas – and this is just to name a few perks. However, with this ease may also come with some disadvantages. For those people who have no control over their spending habits, it might just be their downfall to go into deeper debt. With just one click, you can keep on adding items to your cart and easily check out. Outsmart the dynamic price trap. Most of the online shoppers are not aware what this is but this one of the tricky strategies used by online retailers to show different prices to different people, depending on their location, demand of the product and even your spending patterns. Have you tried going on one site to check out a price of the item and then the next time you visit the price suddenly went up? This is an example of dynamic pricing. For you to get a less biased pricing, you can go incognito on your browser or you can clean your browsing history and clear cookies on your page. Use online deals and discount codes. This one of the best ways to not pay full retail price for the item you want to buy. You can also sign up and subscribe to the email list – a lot of site offer discounts exclusively for subscribers. You just might be the first few who can take advantage of this type of promo! Plan your purchases in turn for the next season. A lot of retailers mark down their prices when they are trying to get rid of old inventory to make room for new ones. For example, outdoor furniture is cheaper around fall, bikinis and swimsuits are affordable during the winter season. You don’t have to always buy the item right away once they are up on the site too – you can just wait it out a bit, put it on your wish list and watch out when the price will drop. Shop online and pick up the item at the store. If you want to save on shipping fees and you do see that the item you want to purchase is available at a store near you, then you can opt for this instead. Always double check with the item online if your local store has it. Sometimes the item is even on stock so you can pick it up on the same day you order it. Take advantage of reward programs. Most credit cards nowadays have reward programs every time you use it. There are online retailers who also provide loyalty rewards for regular customers. Look into those and sometimes, you can even combine both rewards to get a bigger discount. These tips aren’t complicated and quite easy to remember. So on your next online shopping spree, keep these in mind and you can absolutely get good value for your money. Do you have any other online shopping tips and tricks? Share them in the comments below! Many kids dream of playing sports professionally, but very few actually achieve it. There are even fewer people who are able to play a professional sport for a long time. Brian McCann will be entering his 15th professional season in the MLB in 2019. Brian McCann’s net worth sits at $40 million. Brian McCann got his professional career off the ground in 2002 when he was drafted 64th overall in the MLB draft. He received a $750,000 signing bonus to help jump start his net worth. Career earnings on the field for Brian McCann are over $120 million. He recently just signed a one year, $2 million contract for the 2019 season with the Atlanta Braves. This most recent contract will push his earnings to nearly $130 million, tops among active catchers. His largest contract signed came after the 2013 season when he signed with the New York Yankees. The contract was valued at $85 million for five years. For his career, McCann currently holds a batting average of .263. Additionally, he has belted 270 home runs and nearly 1000 RBI’s (Runs Batted In). A career on base percentage of .338 makes him one of the more reliable offensive catchers in the game. 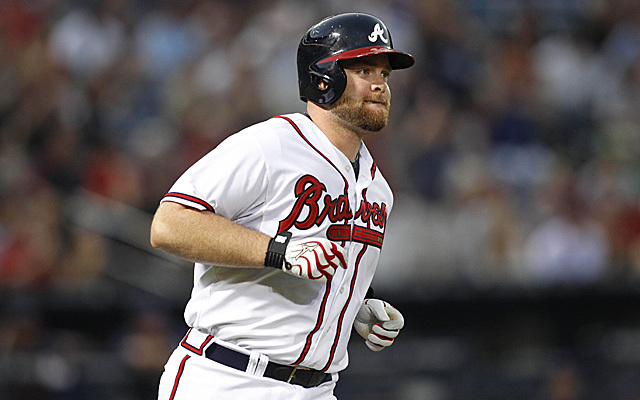 With McCann’s new contract, he is now returning to the team he spent the first nine seasons of his career with, the Atlanta Braves. It was his time in Atlanta that ultimately yielded his large contract with the Yankees. Brian’s most efficient season offensively came in 2006 with Atlanta. In 2006, he set his career high for batting average in a season, .333, and a season high number of home runs, 24. It was this performance in 2006 that convinced the Braves to sign their catcher to an extension. Before the start of the 2007 MLB season, McCann and the Braves agreed to a six year extension worth nearly $27 million. Brian will be 35 years old before the start of the 2019 MLB season. He is coming down to the end of his career in terms of playing baseball. While he will add additional money’s to his net worth, it is expected to make minimal impact. Since Brian McCann’s net worth sits at $40 million at the time of this writing, we don’t see it increasing much beyond this. If he is able to produce next season for the Braves, then there is a chance that his net worth could increase a bit more with a new extension. If you and your family travel frequently, then renting an RV can potentially help you save thousands of dollars per year. Your RV is your home on wheels, so you will not have to get a hotel room. For less than the cost of comparable accommodation, you can opt for a stay at an RV resort in San Diego or other in-demand destination cities. This lets you and your loved ones enjoy the perks of a standard hotel resort without the high cost. Furthermore, an RV also comes with a kitchen, so you can cook meals instead of eating out. Traveling in your rented RV is also likely to cost less than getting plane tickets for everyone going on the trip. The entertainment is one of the main things that can make a vacation expensive. One of the keys to having a budget-friendly family vacation is to look for free things to do. Public parks and beaches are examples of places that you can go for free. Most museums are free at certain times. It is a good idea to find out about the free things to do in the area before you go to your destination. Summer is the most popular time of the year for families to travel. The children are out of school, and parents are able to get time off from work. However, this is also the most expensive time of the year to travel. If you can travel during the offseason during fall, winter or early spring, then you will be able to save a lot of money. Everyone wants to have souvenirs from their trip. However, you do not have to spend money on souvenirs. You can collect things instead of buying them. For example, you can collect seashells at the beach. You can also collect maps from the tourist offices. Many restaurants and attractions have discounts during various times of the year. You can take advantage of these discounts by using coupons. Groupon is a place where you can find coupons. You may also be able to find coupons on the company’s website. You do not need to go far to have a good time. There are likely a lot of fun places within a short drive of you. If you choose a close destination, then you will be able to save money on gas. You will also be able to save money on the activities that you do with your family. The amount that you pay for gas will depend on the gas station that you buy it from. Even if you are only able to save a few cents, this can add up. You can use a gas finder app to find the cheapest gas station in your area. It is possible to travel with your family on a tight budget. You can cut your travel costs by renting an RV. You can also travel during the off-season and select a nearby destination. Looking for free things to do and collecting free items are other ways that you can save money. Additionally, you can use a gas finder app. There are many ways to pull off a budget-friendly vacation, it’s just a question of which ones to choose. 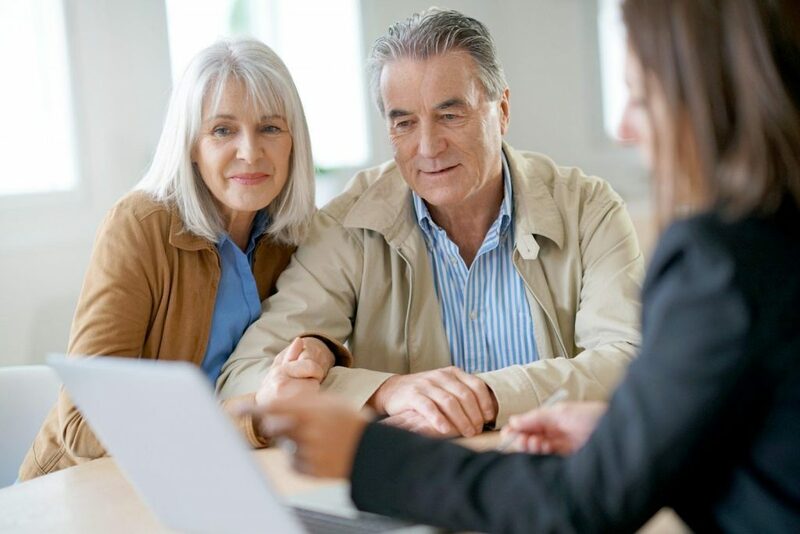 When we talk about selling life insurance policy and getting a life settlement, the most challenging part is the process involved in selling the policy and getting it cashed. It seems pretty complicated, however, doing a little bit of research would make it all easy. With that being said, here’s the process of selling your life insurance policy in exchange for cash. When you plan to go for a life settlement by selling your policy, there are certain conditions and criteria that you need to analyze. This would give you an idea whether or not you are eligible to get a life settlement in exchange for your life insurance policy. First up, find out what is the type of policy you own and whether it qualifies for a life settlement. Next is to make sure that your policy is at least worth $100,000. Besides that, the age of your policy should account to what your state acknowledges. If all these conditions are met, and you are above the age of 65 years, you are good to go. Once you have figured the criteria and are qualified for a life settlement, the next step is to conduct research. In order to sell your life insurance policy and get instant cash, you need a third party who buys your life insurance policy. The third party that you sell your policy to can either be a life settlement providing company or a life settlement broker. It is suggested to sell your policy to a life settlement company rather than a broker since brokers look for more profit out of the deal. Now, the role of the research is to help you find the best life settlement company in your region. For this, you can take help of the people who you know and conduct an extensive internet search. Through both, shortlist a few life settlements companies and go for the company that you think is the best. While the two steps mentioned above are your responsibility, the company or the broker are supposed to take care of this step. The company or the broker would gather information pertaining to your life insurance policy and would also check your medical records. This alone do not to ensure you qualify for a life settlement from their side. These details also govern how much money your life insurance policy is worth. Make sure that the information that you provide to the broker or the life settlements company is secured through a privacy agreement since you don’t want your personal information to reach wrong hands. Once the life settlement provider goes through the information that you give, including the medical documents and the details of your life insurance policy, he would decide if your policy qualifies for a life settlement. Next up, he would make the calculations as to how much cash your life insurance policy is worth. After all the calculations, he would bring an offer to your table. The life settlement provider would mention the offer and explain to you about it. After the provider explains everything to you, it is now your turn to asses and evaluates if the offer is worth accepting or not. Here, you may negotiate with the provider. After all the negotiation, you are supposed to decide and report it to the provider. Once you and the life settlement provider decide on the offer, the provider is supposed to bring a closing package to you. The closing package contains the documents related to the life settlement. It is also the responsibility of the life settlement provider to explain all the documents to you. Once he explains it all to you, you and your beneficiary are supposed to sign documents, accepting the offer officially. The provider takes the signed documents and proceeds with the other steps. After getting the signed documents from you, the life settlement provider sends these documents to your life insurance company, requesting transfer of ownership of the policy formally. The insurance company looks into the documents, signs them, and then hands over the signed documents to an escrow agent. The escrow agent is supposed to keep the documents safely till the process of transferring the ownership is completed. Once the transfer of ownership is recorded, you, the life settlement provider, and the escrow agent would receive confirmation from your insurance company regarding the same. Upon receiving confirmation, the escrow releases the funds in the form of payment. Right from researching about life Settlements Company to striking a deal and finally getting cash in your hand, these are the steps that are involved. After all, getting a life settlement by selling your life insurance policy is not as complicated as it looks from the outside. Whether you are buying a new or used RAM truck, there are factors that can make the experience smoother or more difficult. One of the usual issues with buying a new or used car is what choice of car to buy. However, since you have already decided on the type of truck you want to get, you may only have two more things to consider. The first is the model you want to purchase and the second is the dealer to buy from. Read more about the RAM truck here. In this article, we shall focus on these two factors you will need to consider to make your purchase a lot easier. Let’s take a closer look at this very popular American truck brand. The RAM truck has a long history which started in 1932. It started out as a part of the trucks under the Dodge brand. Today, RAM Trucks is now a brand line on its own, manufactured by Fiat Chrysler Group LLC, an Italian, American auto manufacturer. There are a number of models available under the RAM truck brand and we will try to look at these and their specifications, so you can have what you need to make an informed decision. Some of the brands include: Ram 1500, Ram 2500, Ram 3500, Ram 4500 HD Chassis, and Ram 5500 HD Chassis. The RAM 1500 is a ½ ton, class 2a truck. This makes it a light truck with a weight limit of between 6,001–10,000 pounds. You may want to take a look at the difference between the 1500 and 2500 in this video. The RAM 2500 is a ¾ ton, class 2b truck. It is also a light truck but with a higher weight limit than the class 2a. Its weight limit is between 8,501–10,000 pounds. This is a 1 ton, class 3 truck. Its weight limit is between 10,001–14,000 pounds. The Ram 4500 is a class 4 truck which makes it a medium truck with a weight limit of between 14,001–16,000 pounds. It is a model is designed to offer outfitters room to have custom cargo area, flatbed or whatever additions they need. This means it comes only with a cab and rear frame with industry standard width and wiring. The Ram 5500 also comes with a cab and a rear frame for outfitters. It is a class five truck which means it is a medium truck with a weight limit of between 16,001–19,500 pounds. Just in case you are not clear on what a cab and chassis (rear frame) is, read this for clarification http://www.dieselhub.com/compare/chassis-cab-vs-pickup-truck.html. Aside from these trucks, you may also be interested in the vans such as the Ram Cargo, Ram ProMaster 1500, Ram ProMaster 2500, and Ram ProMaster 3500.